Motley is hard not to love. Moderate framed, big bellied and super sound in his foot structure, Motley also has a great dispostion and is an easy keeper. 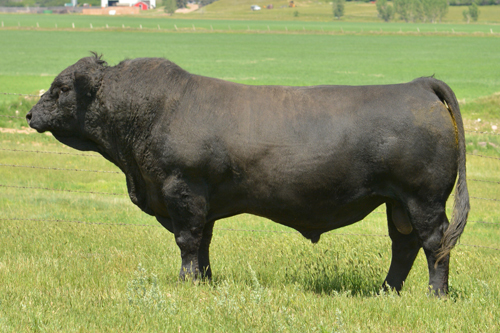 His Dam is heavy milking and sound in her structure. 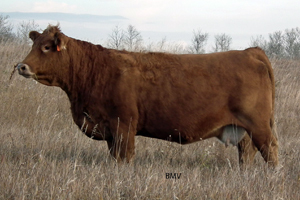 She is a Donor for Double Bar D and was purchased out of the Shades sale from Ashworths. 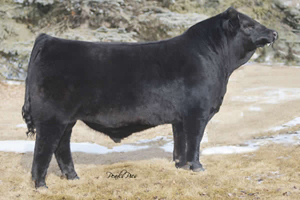 His sire is none other than Captain Morgan, the $190,000 bull from Sunny Valley Simmentals. Motley is the result of a flush, and his flush mates were also impressive. 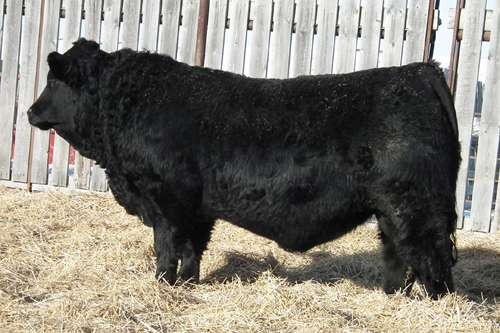 His calves are at the top of the pen in 2017, showing his rib shape, but a little cleaner made and bigger framed than their sire.